This is what Scary Little Girls does best! 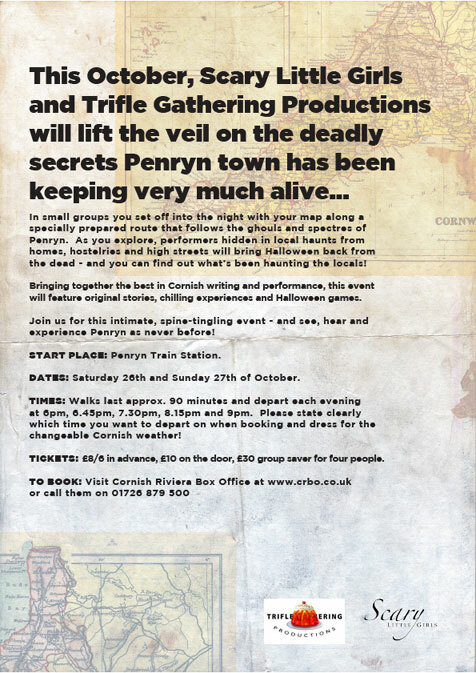 SLG has been casting Hallowe’en spells since its very beginnings, spooking and entertaining audiences with insane cabaret on a London canal barge; tricking and treating in Cornwall; bringing Sweet Witchery to Oxford – but above all, telling stories. With exclusive new terrifying tales by Pauline Sheppard, LH Trevail and Kate Kerrow, this will be a unique set of performances. 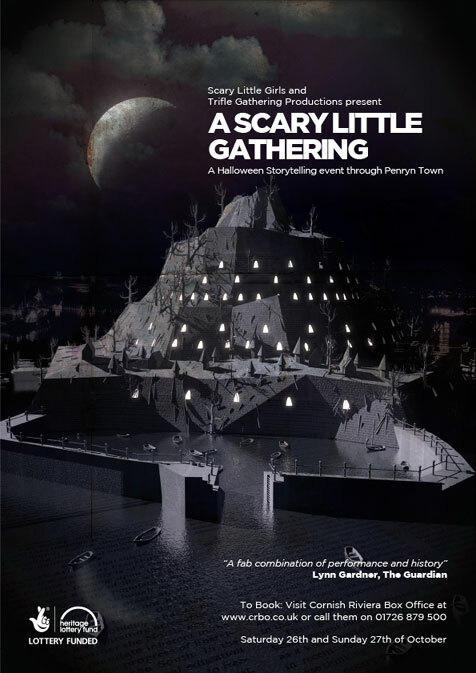 And on Hallowe’en night itself, come to the fabulous Pea Souk restaurant in Falmouth for A Hallowe’en Banquet: a sumptuous three course meal accompanied by seasonally spooky storytelling and songs. Space is limited so advance booking is essential! Read on for more details and see you soon!